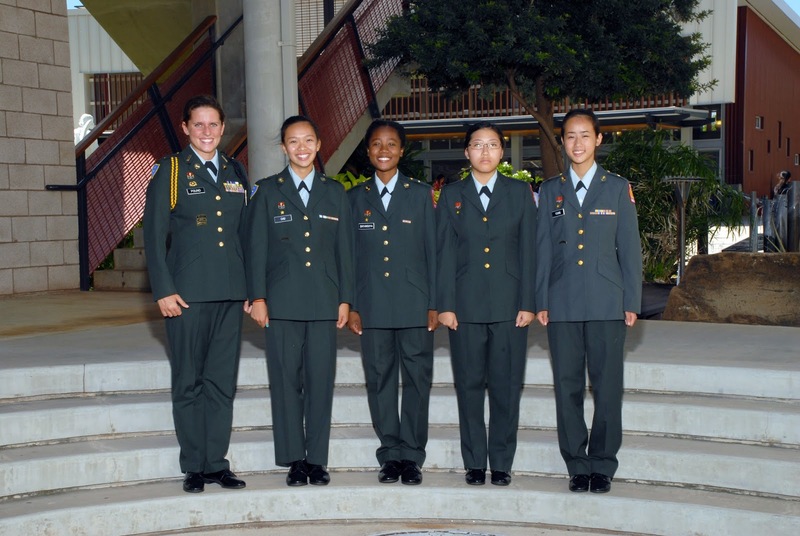 Punahou program cadets, headed by Lt. Col. Robert Takao and Command Sergeant Major Gary Mobley, also engage in leadership, competition and drills training. This year, they have benefited from guest speakers, including active duty United States Navy SEALs; family members of the 100th Battalion, 442nd Infantry Regiment; and Lt. Col. (Ret.) David Pound, father of senior Cadet Hallie Pound, who shared his inspirations for serving in the United States Army and the ideals of “Duty, Honor and Country.” College Counselor Randy Fong remarked, “Military service after graduation is not a requirement for JROTC participation, and it is a valuable activity for college and scholarships consideration. I urge students to research the benefits of serving as a cadet.